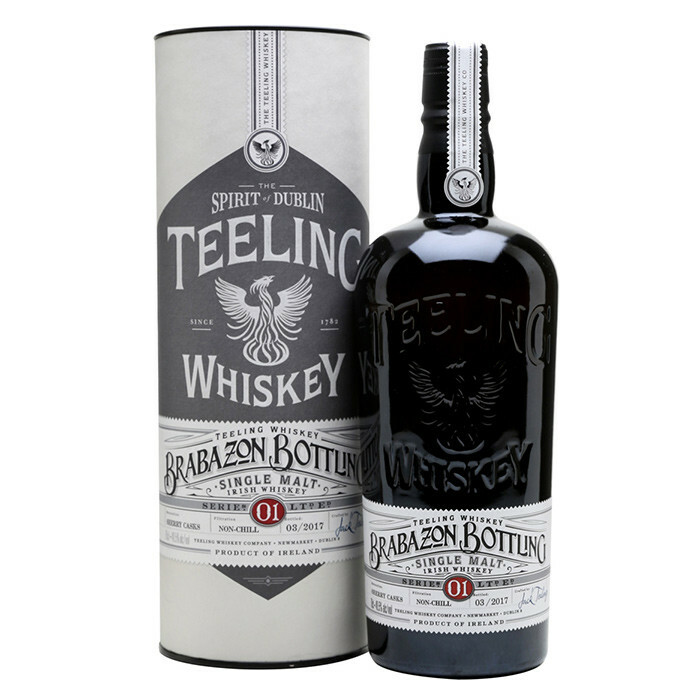 The Brabazon Bottling Series is a limited edition collection of unique Irish Single Malts capturing the full impact and flavour crafted through fortified wine cask maturation. Series No. 1 focuses on sherry cask maturation and consists of a range of carefully selected sherry cask aged whiskeys producing a full flavoured sherry influenced Irish Single Malt. This bottling consists of a vatting of 6 different sherry casks, carefully chosen for their complementary character. The Brabazon Bottling Series 1 is bottled at 49.5% ABV with no chill filtration allowing for all the natural flavours of this whiskey to be retained. Limited to just 12,500 bottles worldwide, this is a whiskey to savour. Taste: A rich sherry sweetness, red berries, nuttiness and toffee, with a hint of liquorish and clove.